Most of our business is word of mouth. We have over 27 years experience and can do a variety of jobs. 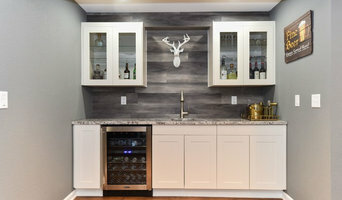 Brad's Construction is a full service home remodeling contractor specializing in difficult and challenging projects that other contractors either neglect or are simply too scared to take on. 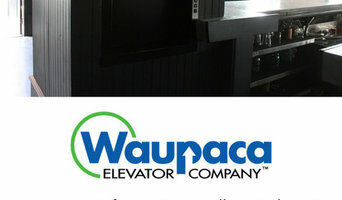 We are a certified lead-Safe company and a licensed and insured contractor in Wisconsin. YMYSPOT Cleanup, LLC was founded on March 19, 2012 by Yolanda Spears who has over 18 years in the cleaning industry. YMYSPOT performs post construction cleaning for residential and commercial properties throughout SE Wisconsin. YMYSPOT is insured, DBE, SBE and MBE certified through County, City and State of Wisconsin. YMYSPOT Cleanup has completed work on the (Capuchin Apartments), HomeVestors Franchisee Owners (remodeled properties), Gorman & Company General Contractor (Sherman Park and Century City Homeowners Initiative new construction and remodeled projects), Advantage Remodel Inc. (remodeled properties), Dimension Inc. and Source 1 Project Solutions (healthy new and remodeled projects). YMYSPOT focus is attention to detail and presentation. Yolanda credits the power of building relationships, networking with builders and remodeling contractors for the business’s success with over 90% of business being referral based. Buck Buckley's Total Basement Finishing transforms basements into healthy, usable space for family activities, hobbies and storage. By using all mold, mildew and moisture resistant materials, we make sure your basement remodeling project doesn't just look livable, it is livable. We are fanatic about the Total Basement Finishing System because the products are built with the unique challenges of the basement environment in mind and come with transferable warranties. When it comes time to sell your home, studies show you recoup over 70% of the cost of a basement remodel; with a moisture-proof, dry basement remodel, we think you'll recoup more! Customers who have remodeled their basements with Buck Buckley's Total Basement Finishing appreciate the improvement in air quality and comfort of the basement all year long. Here at Buck Buckley's Total Basement Finishing our basement finishing products include a 50-year warranty on our basement wall panels, a 30-year warranty on our ceiling tiles, and a wide variety of waterproof flooring. Whether you are looking for a maintenance-free bright clean neutral basement wall or a more customized paintable look, we can design a waterproof modular basement finishing system to meet your needs, your style and your budget. What's more, most projects are completed in 7-10 days! Looking to enhance your home or office with something elegant and beautiful? A vibrant aquarium filled with colorful fish and sea life can create the ultimate focal point for your space that is both subtle and striking. America Aquaria provides the best in aquaculture services, including aquarium maintenance, custom aquariums, and a tropical fish store with a wide selection of aquarium fish. We bring your ideal underwater ecosystem right to your living room or office. With America Aquaria, you receive more than a beautiful aquarium and a superior selection of freshwater fish and saltwater fish. You receive the luxury of full-service aquarium maintenance provided by our professional technicians who make regularly scheduled visits to maintain your aquatic system. You can find our professionals in our Tropical Fish Store conveniently located in Brookfield, just 15 minutes from downtown Milwaukee. They are waiting to assist you, whether you want to add specialty fish to your tank or are looking to design your own custom aquarium. You can view our products online at our website or call us at (262)781-6060 to set up a consultation appointment. Visit America Aquaria and let us help you create the custom aquarium you’ve been dreaming of. Landscape Carpentry. Decks, arbors, gazebos, fences, remodels, etc. 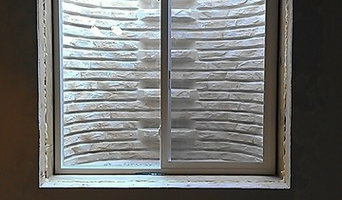 Design and installation studio specializing in interior/exterior thin veneer masonry and the hearth industry. Klean Touch LLC is a commercial cleaning contractor / janitorial service serving the Germantown, WI area. Services include Commercial Cleaning, Office Cleaning, Janitorial Services, Construction Cleaning, Porter Services and Retail Cleaning. Whether you’re looking for a team of Waldo, WI professionals or a handyman for a small renovation, you’ll find dozens of professional profiles and contact information for specialty contractors here on Houzz. Here are some related professionals and vendors to complement the work of specialty contractors: General Contractors, Landscape Contractors, Architects & Building Designers, Interior Designers & Decorators, Kitchen & Bath Designers. Let’s say you want to install custom wood flooring in your dining room, and you’ve found a Waldo, WI company with excellent reviews. Next you’ll want to contact the company and make some inquiries. Find specialty contractors on Houzz. Look in the Professionals section of our website under Waldo, WI specialty contractors, then select the nearest metro area for a contractor. You can also look through Wisconsin photos of completed projects to see how a contractor might approach design challenges.